Your dad did something today that I never thought he would do. 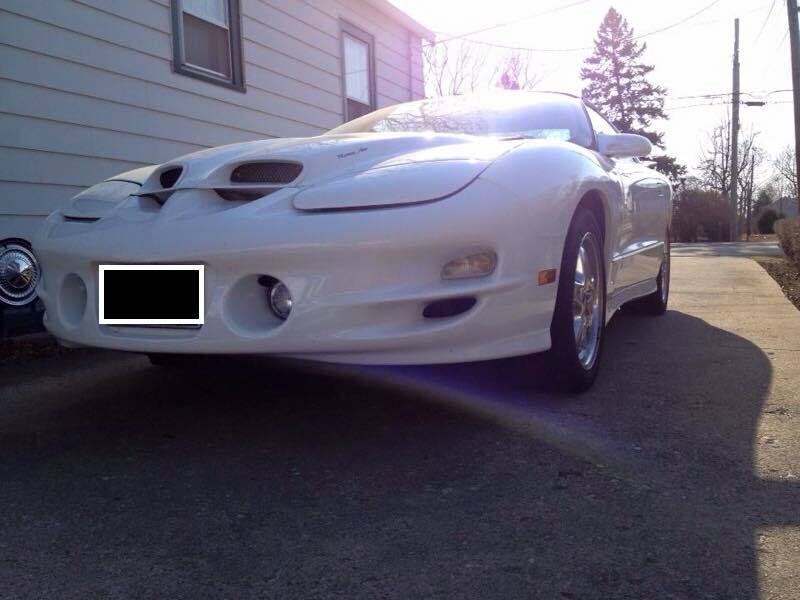 He sold his 2002 Pontiac TransAm WS6…with a Corvette engine (dad requested I add that fact in here). Now, seeing as how they stopped making that car in 2002 and Pontiac went out of business several years ago, this will, most likely, mean absolutely nothing to you. But let me tell you…this is a big deal. Your dad loved that car. And when I say “love,” I mean I’m pretty sure there were days when I came in a close second. He only drove it in the warmer months of the year…April 2 to October 2 to be exact. That Spring day in April became like another holiday in our house. We would have a countdown to April 2…I’m surprised a special calendar wasn’t displayed on our fridge. And in the fall and winter I would catch him opening the garage to just take a peek…or sitting in the driver’s seat and revving the engine, no doubt daydreaming about tearing out of the driveway for a joyride. I must admit the car was a head turner. I felt “cool” riding in it. And I know your dad did, too. Your dear old mom never drove it, as I am incapable of driving stick (a skill you should probably learn one day), but I have many fond memories of riding shotgun as your dad sped around our little town. While I don’t have an affinity for cars like your dad and Grandpa Don do, I can certainly appreciate the uniqueness of that car. Other car enthusiasts seemed impressed by it when we were out and about…often stopping dad to ask him questions. What year? How much horsepower? What kind of engine? I thought it was cute how much your dad liked the attention. What I realize now, as I see your dad struggling with his decision, is that the TransAm was a part of his identity. He was a different man when he got it back in 2002. With a different outlook on life, a different job, different challenges and priorities. The car represented freedom and it made him stand out. But I think he has realized that, over time, he has taken on a new identity. He has grown up and changed in so many wonderful ways. He has different priorities in life…different interests. And there are so many other things that represent the incredible man he is today. There is something to be said for nostalgia…for holding on to our past. For holding on to the good memories and a piece of that person we were. There is a comfort in it. A type of security blanket. But there is also something to be said for looking ahead. Making hard decisions and choices to benefit the new life you’re living and the wonderful new direction you are headed. Change can be scary. But change is a part of life. It’s necessary, though uncomfortable, at times. You will be faced with so many choices in your life. So many decisions to make. Some will be effortless and some will really make you think. But don’t shy away from those hard decisions. Don’t shy away from change. And hard or scary as it may be, don’t let nostalgia stop you from moving ahead. I am so proud of your father. Such a wonderful idea and from the heart. Sophia will love this! (And I will always have gum for her). Beautifully written.